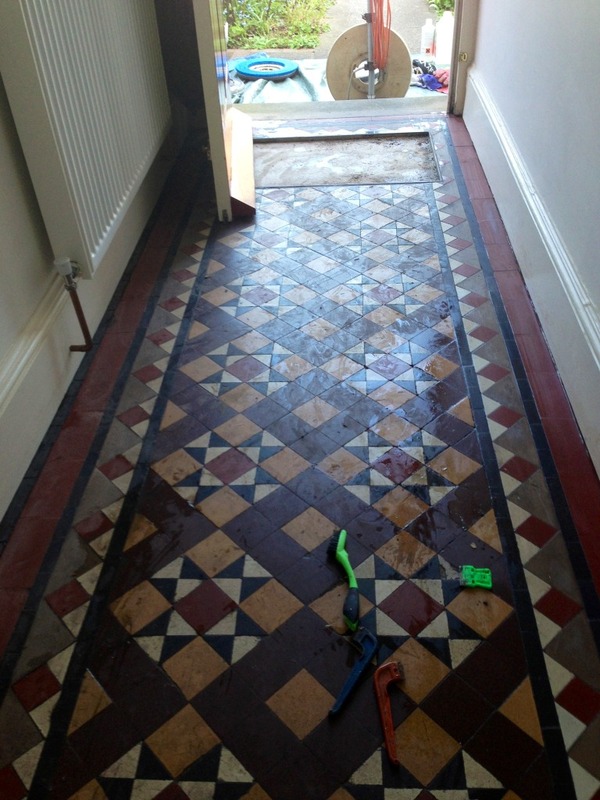 We were asked to take a look at this Victorian tiled hallway floor at a house in Kenilworth, the owner was keen to restore it back to its original condition and there were a number of missing tiles that need replacing and there were traces of paint and adhesive along the edges indicating it had been previously covered over, probably by linoleum. 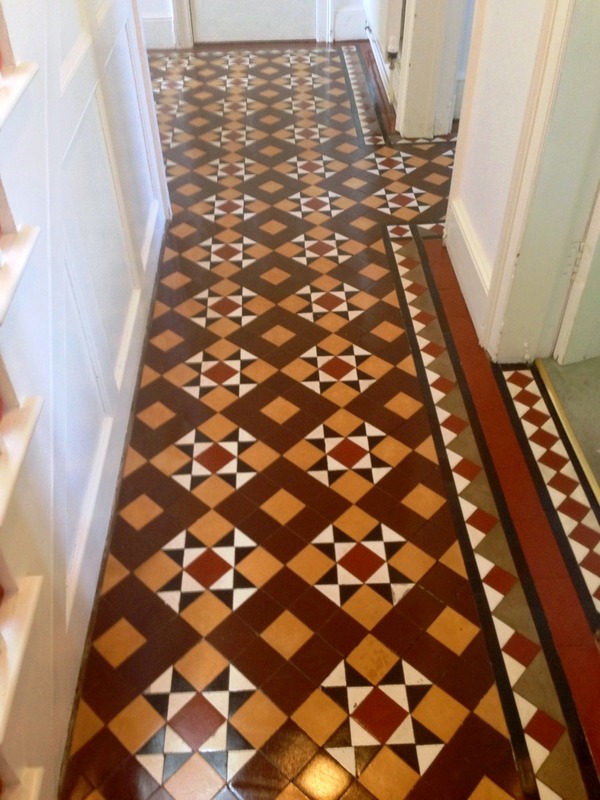 The first job was to replace the missing tiles, fortunately replacements are still available so it was just a question of making the rest of the floor look as new as the replacements. 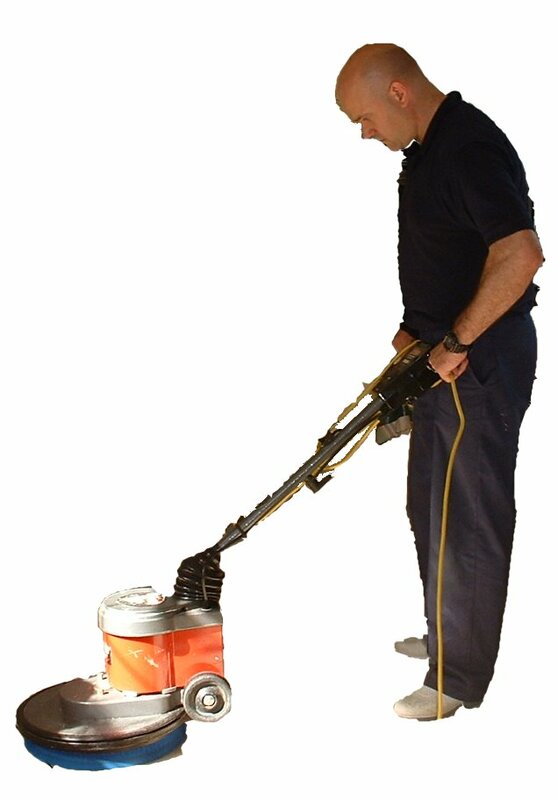 We set about cleaning off adhesive from the edges of the floor which had to be done by hand using Tile Doctor Remove and Go combined 50/50 with NanoTech Ultra-Clean which creates a powerful stripper and cleaner. The resultant mixture was applied with a brush and left to dwell for fifteen minutes in order to break down the glue and old paint; this was an arduous task involving scrapers, wire wool and a lot of elbow grease, in total it took around five hours to get the edges completely clean. 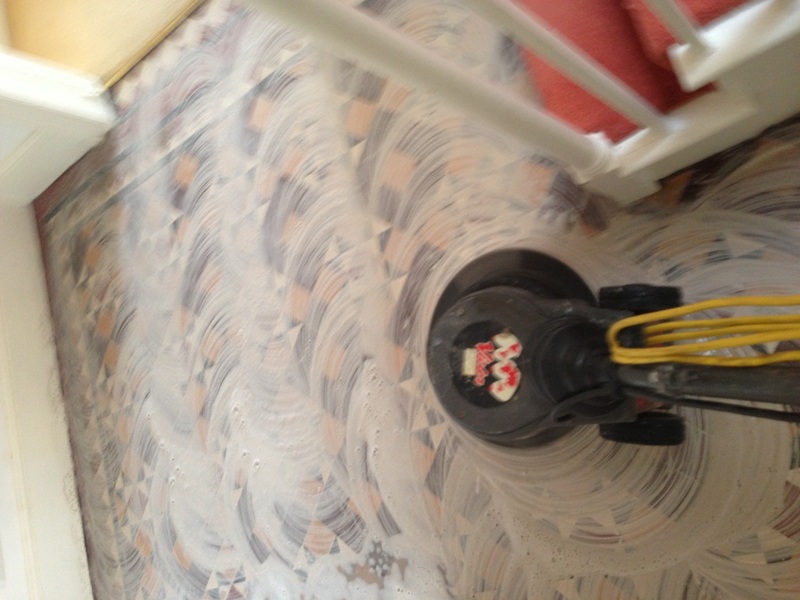 We came back the next day and started work by replacing the tiles I mentioned earlier. 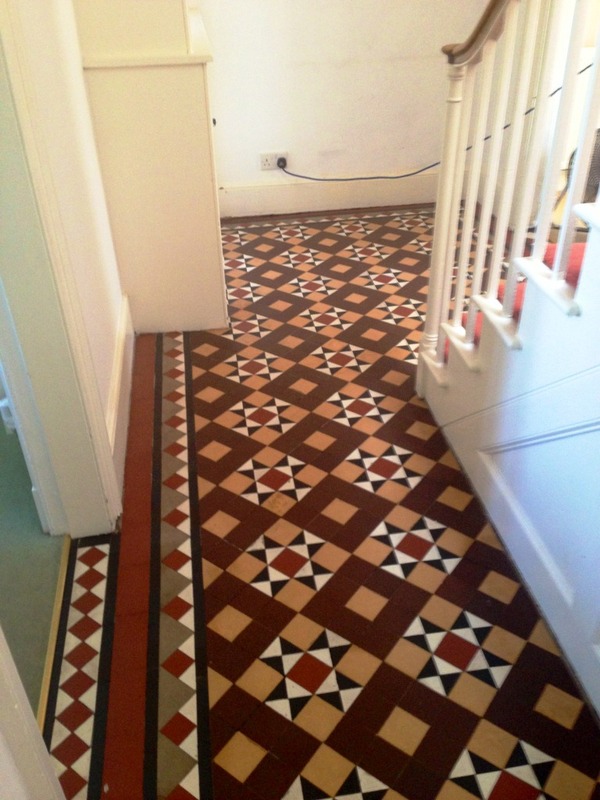 To seal it we applied four coats of Tile Doctor Colour Grow which provides durable stain protection whilst enhancing colour it also helped to improve the match between the old and new tile.